Langston Hughes (1902-1967) was an African-American poet, novelist, columnist, short story writer, and playwright. His exceptional literary talents were recognized early in life; he was elected class poet at his Lincoln, Illinois elementary school. Langston is best associated with the American literary movement known as the Harlem Renaissance (1920s-1930s) and was one of the pioneers of a new literary form, jazz poetry. Come with a blast of trumpets, Jesus! Burns in my heart a love-fire sharp like pain. 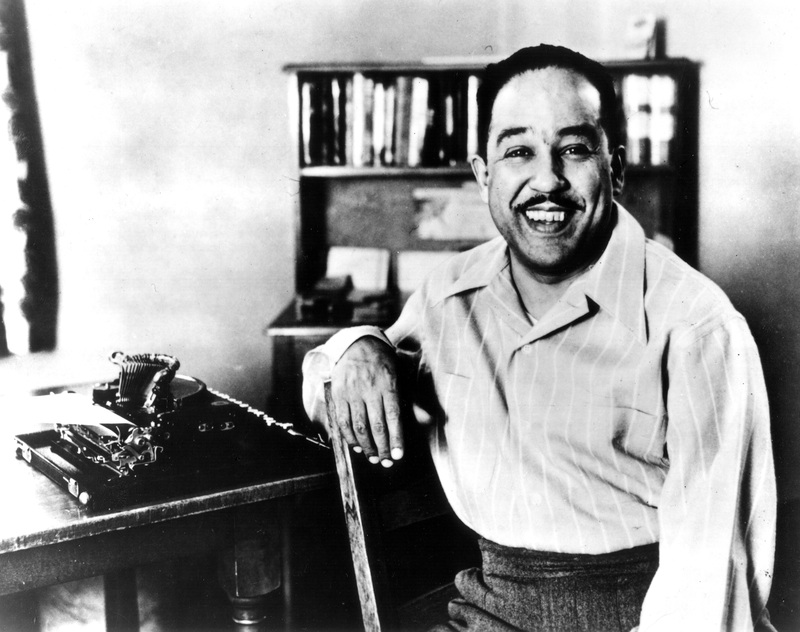 I’m working on a documentary about Langston Hughes and the Harlem Renaissance. i would be very grateful if you could tell me where you found this photograph of Hughes used in your blog and if you know where I could find more similar ones. A speedy reply would be much appreciated if possible as we are editing the film currently. James, I would suggest looking through Hughes’ bios. Check the bibliographic entries for photos per page no. They will give you sources for photos. Then you must contact the group that (for a fee) grants rights and permissions. Does anybody know why Langston Hughes wrote “when sue wears red?” Was it a girl in school?